Rickles in THE MAN WITH THE X-RAY EYES. Don Jay Rickles was born on May 8th, 1926, in New York City, New York, to Jewish parents, Max and Etta Rickles, who were 2nd generation immigrants. He grew up in a Jewish home that spoke Yiddish, in a neighborhood in Jackson Heights. During WW2, Rickles joined the Navy, and was stationed on The USS CYRENE (AGP-13), with the rank of Seaman first class. This vessel was a "tender" for motor torpedo boats, escorting the boats and providing fuel and provisions to them as well. After the end of the war, Rickles studying acting at the American Academy of Dramatic Arts, located in Manhattan, New York City. He wanted to become a thespian. When acting roles were few and far between, Don Rickles got his start as an insult comic entertainer in night clubs located in New York, Miami, and Los Angeles. When heckled at performances, Rickles had fun insulting them back, much to the amazement and amusement of the audience. When he noticed that they were enjoying the improvised insults more than his prepared jokes, Don adjusted his routine and became a stand-up comic known for his good-natured insults of the audience, as well as our society; that was and still is amusing to audiences. 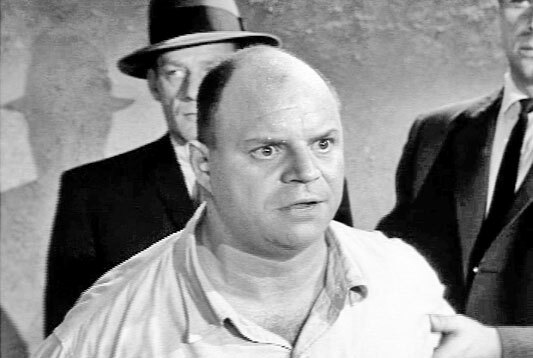 Don Rickles became very popular as a comic, and he succeeded in this line of entertainment for twenty years, until his first film, RUN SILENT, RUN DEEP;(1958), which opened up some new opportunities in film as an actor. He finally got a chance to act, to add to his successful comedic career. In 1965, Don Rickles married the love of his life, Barbara Sklar. They had two children, Larry and Mindy. The Rickles now have two grandchildren, Ethan and Harrison. In KELLY'S HEROES; (1970), Don Rickles successfully combined dramatic and comedic elements in his best performance, as the crafty supply sergeant, Crap Game, who suggests making a deal with Nazi soldiers. Don became more associated with Dean Martin, and was one of Dean's most regular performers on his show: THE DEAN MARTIN CELEBRITY ROASTS. From 1973 to 1984, Don Rickles made a lot of appearances on Dean's show, paying tribute to some of his friends, like Bob Hope, Frank Sinatra, Lucille Ball, and was even the roastmaster on the roast for Dean Martin himself. In 2008, Don Rickles won two PRIMTIME EMMYS for his comedy special/documentary, MR. 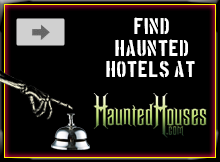 WARMTH: THE DON RICKELS PROJECT; (2007), that was directed by John Landis for HBO. His son, Larry, also co-produced this project. On this special, Don Rickles won an EMMY for Outstanding Individual Performance in a Variety or Music Program. The second EMMY was for Outstanding Variety, Music or Comedy Special. In all the TOY STORY animated films, Don Rickles was the voice of the grumpy Mr. Potato Head; a role his grandchildren were most impressed by. At 88 years, Don is still doing something that energizes him, stand-up comedy! 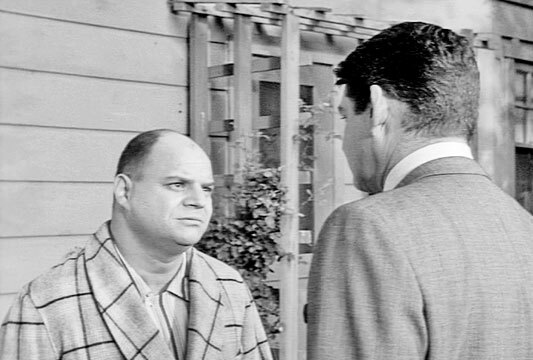 Rickles in THE MAN WITH THE X-RAY EYES (1963). 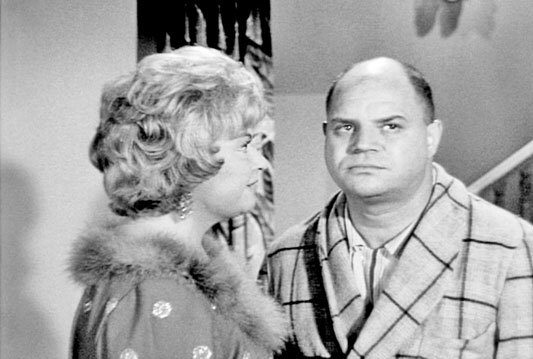 Rickles in Burke's Law (TV series).